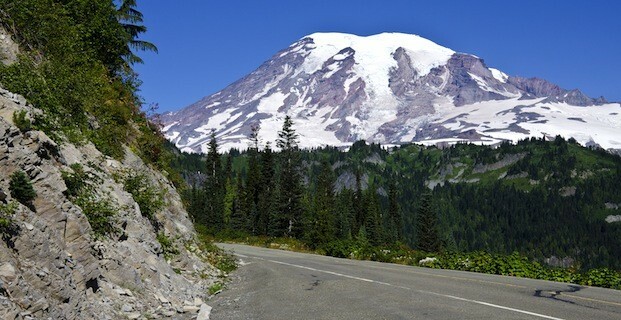 The Mount Rainier National Park can be found in Washington State, near Pierce County. 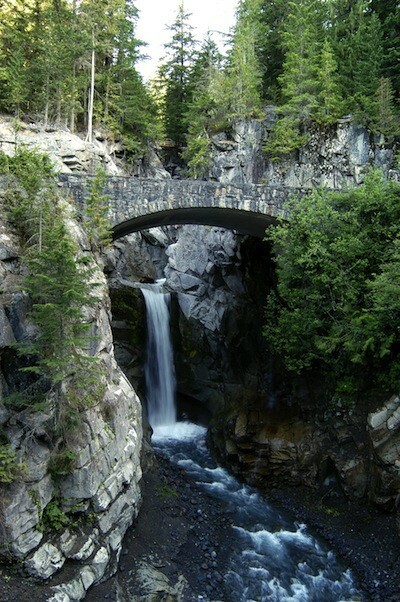 It can be found just north east of Lewis County and was known as a national Park on the 2nd of March 1899. This was known as the fifth national park created in America and there are almost 236,381 acres of land within the park also. This land covers the high range of Mount Rainier; and the mountain has a variety of elevations from 1600 feet to around 14000 feet also. The volcano found on the mountain range is almost covered with clouds; this means there is a huge amount of snow and rain that falls onto the peaks of the mountains every year. 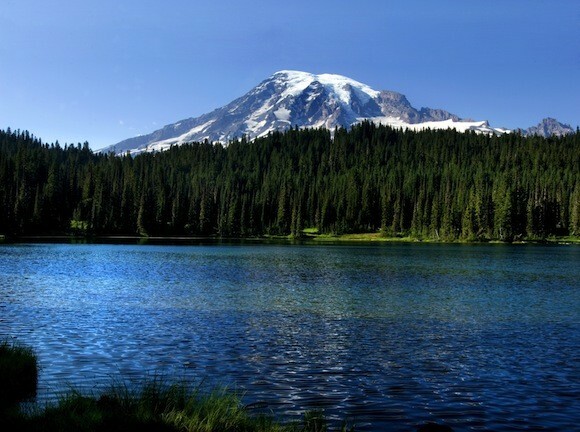 The Wonderland Trail circles Mount Rainier and is also covered by a lot of different glaciers and snowfields also. Over 1.8 million people go to the park each and every year and love to see Emmons Glacier and Carbon Glacier also. Very high percentage of the entire park is considered to be protected and is preserved as wilderness. This is done under the National Wilderness preservation system; and these parts including Mount Rainier Wilderness and the Clearwater Wilderness. In 1997, on the 18th of February, the park was proclaimed a national historic landmark. However, in 2012, on the 1st of January, the Park Ranger – Margaret Anderson – was shot and killed while attempting to stop a passing vehicle. The perpetrator Benjamin Colton Barnes hid in the park; and the authorities were on hand to close the park down. This resulted in manhunt throughout the entire park but the suspect’s body was found the next day. It was a sad day for the park as nothing like this had happened before. It is thought that the earliest signs of life in the park were with Native Americans; and this was thought to be around 4000 years ago. The first signs were at the Bench Lake Trail; and for many years there have been many explorations of the park along Fryingpan Creek and Goat Island Mountain also. More and more want to know about this area and of the history of the park also. In one shelter found, there were hunting artefacts found but this shelter would not have been used during the entire year. However, the park does have a national forest area within the park. In 1893, the Pacific Forest Reserve was created and that did include Mount Rainier also; the forest did get bigger however as the years went. There has been a lot of work gone into trying to ensure the park is preserved and is protected. Throughout the years, there has been a lot of work that has gone into making sure the forests are protected as well as the entire park. Thousands do a lot of work to protect the park and it is certainly very popular also. The Mount Rainier National Park had to be closed down for a huge amount of time because of the flood which hit the park. In one part of the park, in late 2006, the Pineapple Express rainstorm brought down almost eighteen inches of rain water to the park. This all fell within 36 hours and a lot of the roads and camp grounds in the park were actually washed away. The Park was named a National Historic Landmark district in 1997; and there are many amazing locations that are found within the park also. There are at least 42 different locations in the park that are found on the National Register of Historic Places and some are considered to be historical landmarks also. One of the biggest attractions is Paradise. There was no power in the Longmire and Paradise regions; however in 2007, on the 5th of May, the park was reopened for all vehicle traffic – this was only by Route 706. Paradise covers around five thousand and four hundred feet in land; this is going to be on the south slope of Mount Rainier. This area is one of the very popular locations to visit today. Of the 1.3 million people who visit the park each year, almost 60% of all visitors are going to visit Paradise. The Paradise Guide House was founded in 1920 and in 1966; Henry M Jackson Visitor Center was built. This building was knocked down and rebuilt in 2008. There is also Longmire. Longmire is a great visitor’s center and is located between the Tatoosh Range and the Ramparts Ridge. This is the place where western red cedar, western hemlock and Douglas fir are found. This is going to be one of the most popular areas of the park today, it’s the second most visited spots and almost 40% of visitors are found here each year. Sunrise is also an amazing place to visit. This is a beautiful lodge and visitor’s center found towards the north east region of the park; and to access the park, visitors will need to use a vehicle to reach there. There is however a miles and miles of trails found around Sunrise; these include the Sourdough Ridge and the Mount Fremont also. The Mowich Lake is going to be the deepest and biggest lake throughout the park today. This is going to be found near the Carbon on highway 165. There are also a hiking trail, camp ground and a picnic area close to the lake also. With the 2006 floods, the 2 major roads were damaged severely; this was in the North West part of the park. During the summer months, the Carbon River Ranger Station is fully staffed; however no cars or any type of motor vehicles are going to be allowed to go past this part of the park. The park is a very popular destination for many to choose from and it certainly is going to be a location where millions visits each year. It’s amazing.